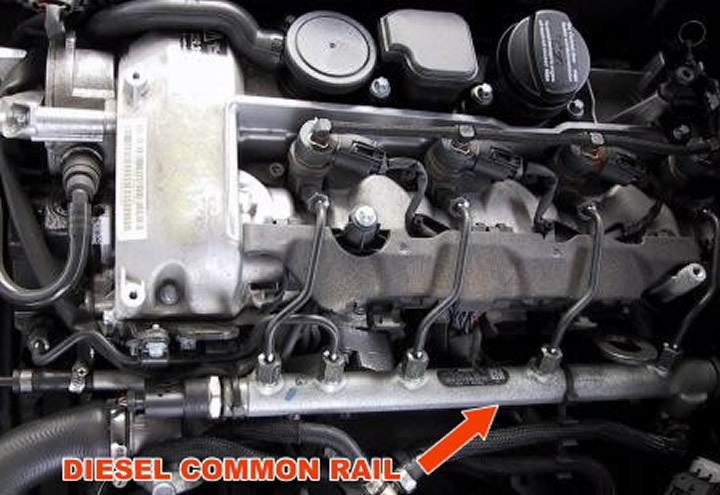 Don't loosen metal diesel injection pipes on common rail engines to bleed, it is not necessary and they run at very high pressures (up to1600 bar) and may not reseal without new pipes. 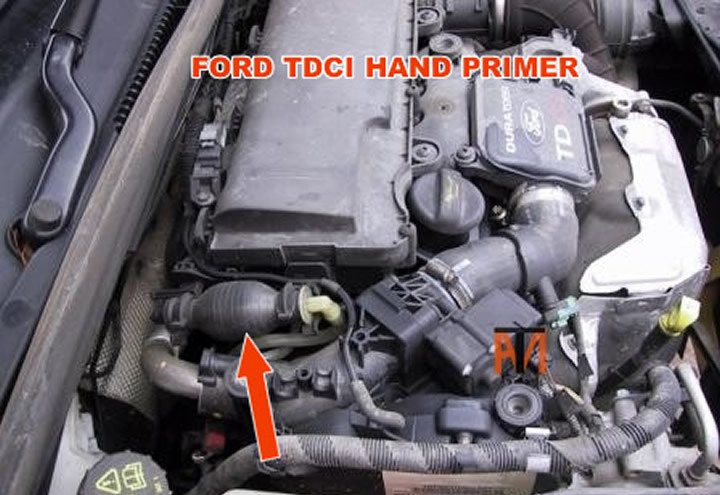 Most diesels on the road are common rail (HDI, CDI,TDCI etc.) 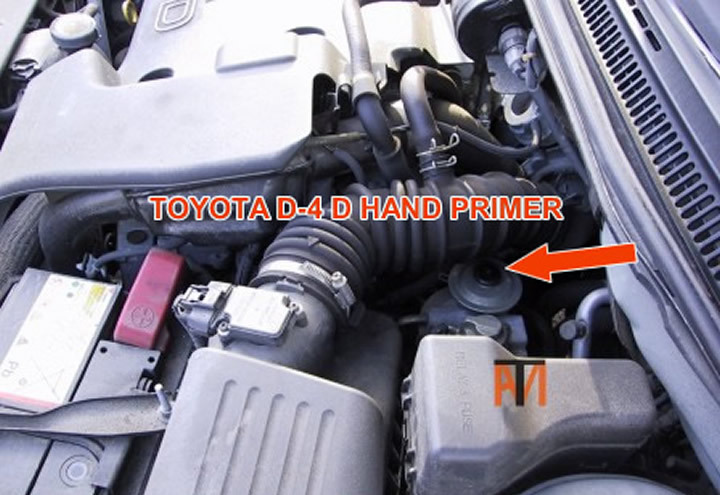 they are called common rail because they have an common rail (like petrol injection) supplying diesel to the injectors (see picture). 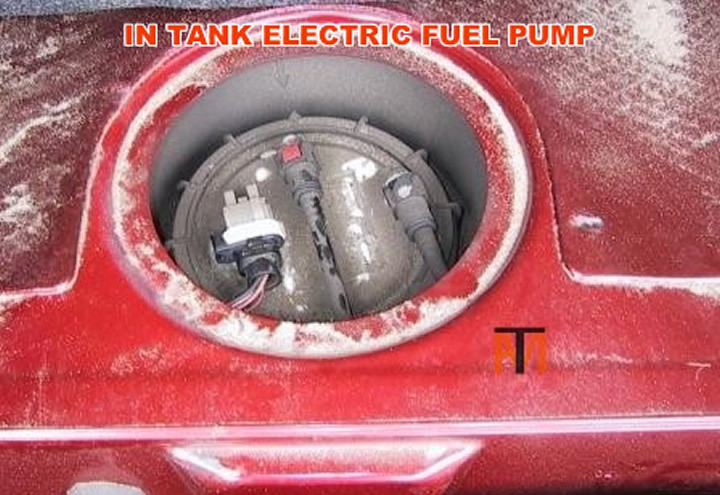 Some won't let the system run dry, they stop the engine before they actually run out of fuel, these will normally start once you have put sufficient fuel in the tank, however you may need to add up to 10 litres before the computer, will let the engine start. The other common rail diesels will either have an electric lift pump (maybe in the tank) or an engine driven lift pump on the back of the main high pressure pump, which won't work when dry, so will also have a hand primer. See pictures. Should start once you have added sufficient fuel (ideally about 10 litres), just turn engine over for 10 seconds at a time and then let the starter motor rest for 30-60 seconds, then repeat until engine starts, should be quite quick. You will need to press the plunger up and down until it goes hard, try to start vehicle for 10 seconds, then repeat with plunger etc. until vehicle starts. 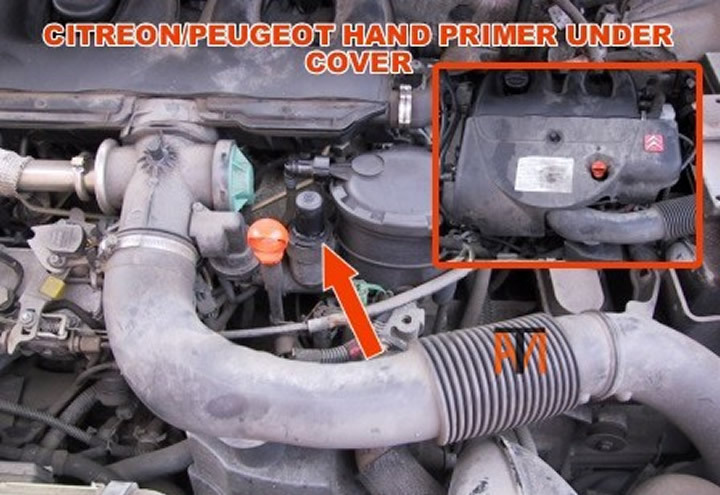 With vehicle now running you may find that the engine management warning light is on, this is because the common rail fuel pressure sensor has detected lower pressure in the rail as the fuel was running out. If you are 100% happy that the vehicle was out of fuel, don't worry too much as it will probably go out after a short drive, try turning ignition on and of 6 times. If still on after a few drives the only way to reset the computer is with an EOBD code reader, the code stored should be low fuel pressure. Some diesels can be very difficult to bleed and you may have to use Bradex Easystart (Either Spray) to get then running, use this very sparingly and only as a last resort (old shape transit will normally require a sniff) please follow instructions on can when using. 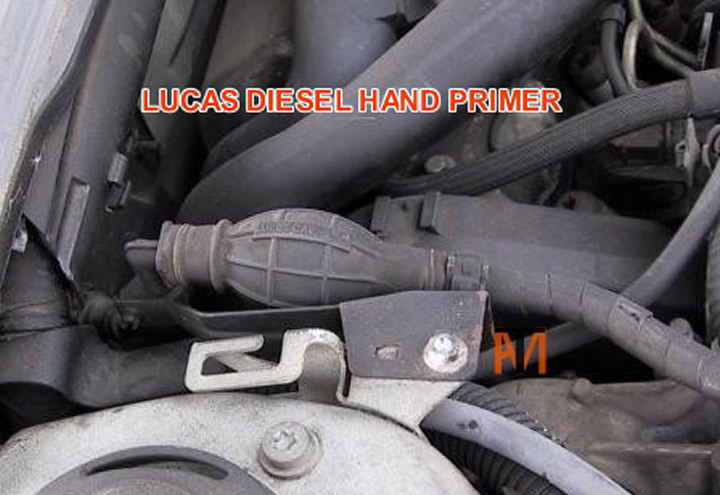 Some hand primers are hidden see Citroen Berlingo picture.